This is a comprehensive review of literature pertaining to the aquatic fern Azolla and its nitrogen-fixing algal symbiont, Anabaena azollae. The preceding decade has witnessed an explosive growth in research on Azolla, and hopefully this paper will facilitate those efforts. 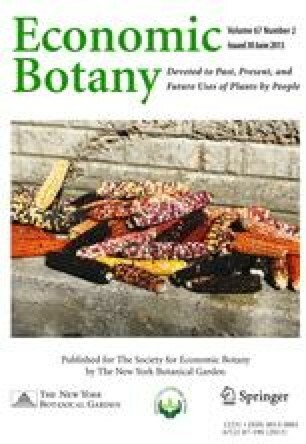 The paper is broken into three major categories: botany, physiology and biochemistry, and agriculture. The botany section includes a world distribution map and reference tables for the 6 Azolla species, and includes the first review of literature on Anabaena azollae. The physiology and biochemistry section covers the range of topics from environmental factors to life processes and nitrogen fixation. Tables on the effect of growth regulators and on the rate of nitrogen fixation measured by acetylene reduction are presented. The agriculture section draws extensively from literature published in the People’s Republic of China and in the Democratic Republic of Vietnam. The major focus of this section is on the history and management practices for Azolla cultivation as a green manure for rice. The effect of weed suppression, use as a fish food and animal fodder, and the insects and diseases of Azolla are also discussed. Journal Series No. 2294 of the Hawaii Agricultural Experiment Station. This work was in part supported by AID grant/csd 2833.